Prevention can be more deadly than heartworm! From ProHeart®6 heartworm prevention release in 2001 to FDA warning, rulings, recalls and buy-outs to label changes and 2018 risks vs. benefit analysis. Fort Dodge complied with FDA's 2004 request to recall ProHeart 6 Injectable Heartworm product from the market due to "serious health concerns." However, adverse effects from all heartworm prevention prescriptions remain high in 2018. The first heartworm prevention "medication" warnings were published here Sept. 2004 and significantly, the adverse affects continue today. June 2001, ProHeart® 6, an injectable heartworm prevention drug (active ingredient: moxidectin), was first approved by the FDA for veterinary use in heartworm prevention. The "revolutionary" product immediately began to generate serious reactions and to its credit, Fort Dodge Animal Health cooperated with FDA to investigate numerous adverse event reports. As a result, Fort Dodge voluntarily changed the label to include post approval safety information including rare reports of death and a caution to practitioners that dogs should have a negative test for heartworm before administration. 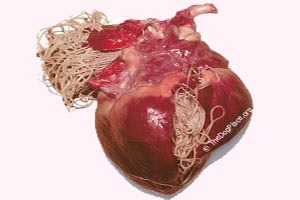 This precaution followed reports of deaths due to killed heartworms clogging the heart's arteries. Joel Jensen, DVM pointed out that heartworms have a relatively short life span. He said "preventing re-infection is as effective, and much safer than treating a dog to kill the heartworms" and the logic is irrefutable. He used a safer sheep wormer to treat the heartworm microfilaria and trusted the natural adult worm die-off would be less risky (potentially fatal) than the mass poisoning of adult heartworms. Despite label changes, FDA continued to receive "unexplained" adverse event reports, a percentage of which were fatal. The reports were based on voluntary self-reporting to FDA by veterinarians and owners whose dogs suffered adverse drug experiences (ADEs) to ProHeart®6 (which contains the drug moxidectin) as well as the mandatory reporting of adverse events by Fort Dodge Animal Health. By August 4, 2004, ProHeart®6 was removed from the market after FDA's Center for Veterinary Medicine (CVM) had received 5,552 adverse event reports for ProHeart®6, including death. The actual number of adverse events is certainly higher because studies show that only a fraction of ADEs are reported. The Agency also observed an increase in the number of cases associated with liver and bleeding abnormalities followed in some cases by death. In Sept 2004, Fort Dodge Animal Health (Overland Park, Kansas), finally agreed to immediately cease production and recall its heartworm medication ProHeart®6 from the market due to the number and severity of adverse reaction reports. FDA also advised veterinarians to avoid administering this product to dogs until further notice. 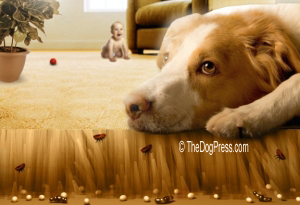 In 2009, Fort Dodge re-released the heartworm prevention product under a FDA CVM RiskMAP (Risk Minimization Action Plan). This restriction means that use of the potentially deadly drug would only be allowed if specific guidelines were followed. The heartworm prevention can NOT be administered to dogs with known drug allergies or serious health issues, plus the drug can not be given to any "older dogs." Only veterinarians with special training could give the drug, and only if dog owners signed a consent form, acknowledging risks vs. benefits of ProHeart 6. 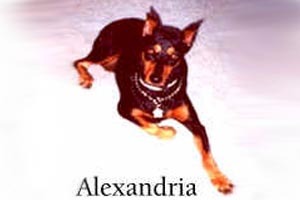 In early 2011, Trifexis was released after a safety and efficacy trial using only 352 dogs in the field study, only 176 of which received Trifexis. The most frequent symptoms listed at that time (by the manufacturer) were vomiting, salivation, tremors, and lethargy. See update below. August 2013, the FDA-CVM announced revisions to significantly ease the ProHeart6 RiskMAP based on the product's excellent safety history under RiskMAP. Restrictions were virtually lifted. Any dog over 6 months old with no significant health issues can be given the injection. Consent forms from dog owners are no longer required. Elderly dogs are no longer protected under FDA-CVM even though the treatment and resulting side effects (such as liver damage) will shorten his remaining years to a much greater degree than will a moderate mild heartworm infection. Another interesting footnote, Pfizer Animal Health took on ProHeart 6 in a buy-out and within a year, Pfizer released a heartworm prevention product called Zoetis. But wait, in 2009 Pfizer had also purchased ($68 billion) the Wyeth Pharmaceuticals giant which suffered staggering Rimadyl lawsuits. Following SEC charges and Wall Street reactions, Pfizer, in a clever "shape-shifting" maneuver, disclosed a new name for it's animal-health business. It will be known as Zoetis, which Pfizer said is based on the root "zo" found in animal-related words such as zoo and zoology. 2014-2015 what's the risk on Proheart 6 today? A prominent, trusted site that specializes in assessing medication risks, drugs.com offers this warning "Because Of Its Potential For Serious Adverse Drug Reactions And The Absence Of Identifiable Risk Factors Associated With Those Reactions, Proheart 6 Is Only Indicated For Those Dogs In Which Alternative Preventatives Cannot Be Effectively Administered." Unlike other heartworm prevention drugs which work in a somewhat "backwards" way and can be stopped at any time, ProHeart®6 .com is in the system for at least 6 months. Other, monthly heartworm preventives such as Interceptor or Heartgard are "short term poisons", meaning they are out of a dog's system in a few days. 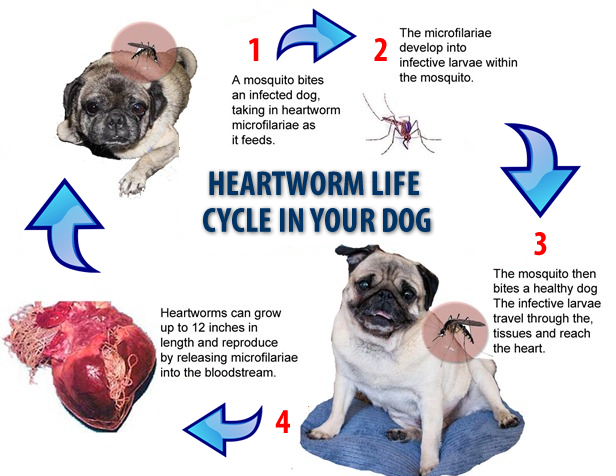 That type of heartworm control is designed to kill any microfilaria that "hatched" out during the previous month. Compared to "long term protection" they are the safer choice. There are obvious problems with a six-month injection. If your dog reacts, begins to suffer liver damage, etc. you wont know it until your dog is really sick. Even then, your veterinarian may hesitate to mention the possible cause, the result is yet another six-months dose of potentially deadly poison! Revolution and a host of other veterinary products are now under the largest, global maker of heartworm prevention and other veterinary medications, Zoetis. And the "shape-shifting" of Pfizer and Zoetis is indicative of what happens in human pharmaceuticals so if you take prescription drugs, you might want to read the insert or explore the Display Links below. See one of the few remaining copies of the ProHeart6 lawsuit filing and other prescription lawsuits information and just as critical to your dog, FDA warning on veterinary NSAIDs (pet pain meds.) Notably to this researcher, as of July 2017 there is no current information on the FDA Adverse Drug Experience (ADE) Reports (offsite opens in a window). This oddity does not go unnoticed by the Companion Animal Protection Society (CAPS) (offsite opens in a window), a national animal protection organization that gathered over 90 immediate complaints from people whose dogs become very ill or died after receiving a ProHeart®6 shot. The most common reactions listed in those complaints were seizures, liver problems, Immune Mediated Hemolytic Anemia (IMHA), Hemorrhagic Gastroenteritis (HGE) and Thrombocytopenia Vasculitis. First heartworm prevention "medication" warnings were published here in Jan 2004 and significantly the adverse affects continue in 2018. Prescribing Death: The sick truth of medication marketing in 2016. Read the article, then watch the (coincidentally produced) Health Ranger VIDEO Prescribing Death (6 minutes) The sick truth of prescription medication marketing; from vaccines to Vioxx to heartworm meds, veterinary medicine is big business. Facts, history, and side effects of heartworm prevention meds. need SOLUTIONS to minimize health risk to YOU and your pet.